Please Join Marek and his Crew Treks team on this milestone trek to the top of Africa. 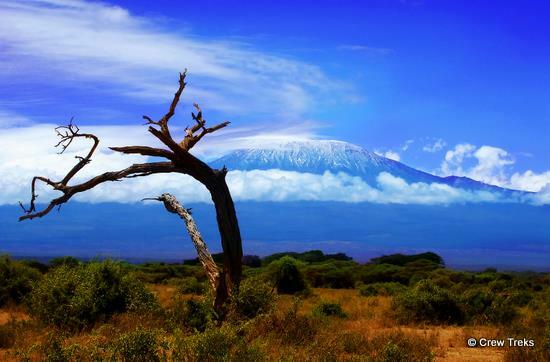 Kilimanjaro rises dramatically above the vast African plains; it stands majestically as one of the 'seven summits' of the world at 19,340 ft. 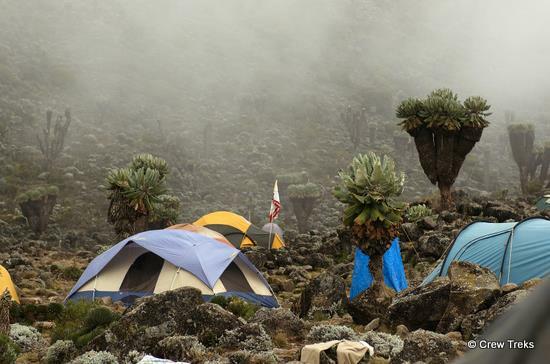 Ours is a challenging and rewarding 7-day trek up the lovely Machame route, a non-technical climb. 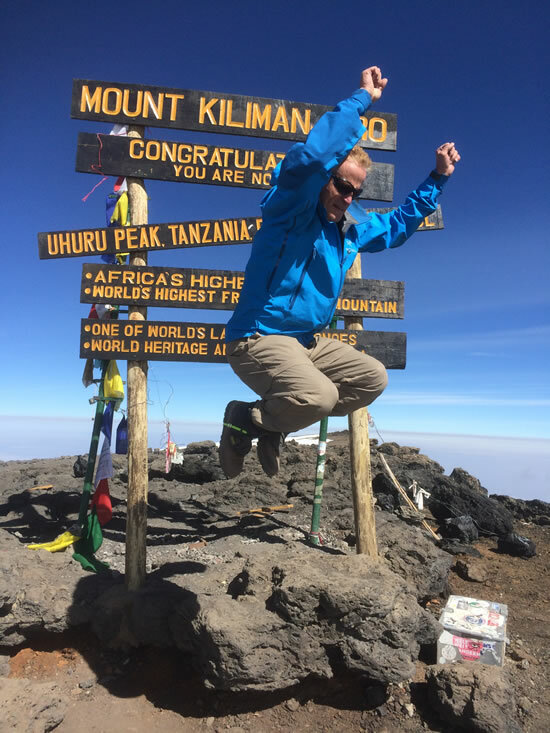 Marek's team of top African guides, with their delightful personalities and gentle encouragement along with their in-depth knowledge of mountaineering, ensure that you have strong odds of summiting. An extra day is built in for acclimatization. All who climb Kilimanjaro feel a deep sense of accomplishment … deservedly so. Join us on the "roof of Africa!" Leader: Marek Wencel - Over 20 year experience in the mountains, previous expeditions to the Andes’, Himalaya and Alaska. Please note, the Safari extension is a very compact trip, full of adventure, covering three major national parks. In three days using all terrain vehicles we will cover a lot of miles and see multitude of animals in their natural habitat. While already in Africa, this is a great opportunity for adults and children to see up close and personal Africa’s great lions, giraffes, elephants, and if lucky even leopards. Due to past experience and customer comments, all Kilimanjaro trips will now originate and terminate at Kilimanjaro International Airport (JRO) If you travel to Tanzania trough Nairobi, Kenya (NBO) and need assistance, please contact Crew Treks for details. Hike Down to Mweka Gate and transfer to Moshi/Party!! Day 2- Jan 24 2020/2021 Breakfast, Proceed to Ngorongoro Crater for game drive with picnic lunch. Dinner and overnight. All permit fees/camp fees on Kilimanjaro, etc. Eat outdoor breakfast/dinner, hiking for 8 days anywhere from 4-8 hrs, carry 10 lb. pack, sleep in tents; high altitude-cool adventure! You will start with tropical weather and then move into high country and temps of 0 deg F.
$100 Tanzanian Entry Visa can be obtained on arrival. Tanzania: Immunization- vaccination against cholera is recommended, ask your travel doctor for malaria pills. Yellow fever vaccination is required for ALL persons from yellow fever endemic countries/regions. (If you visited jungles with yellow fever). Crew Treks strongly recommends that you enroll with Global Rescue prior to embarking on this trip. Please click on the link below for details and quotes. The prices are reasonable and the signup process is simple. We strongly encourage everyone to purchase travel insurance, which covers trip cancellation, interruption, delay, baggage loss or delay, medical expenses, etc. Travel insurance offers the best possible protection if you have a sudden, unexpected illness or injury prior to or when traveling. Required Medications: Antibiotics-Cipro-for food poisoning/lower body infections, Amoxicillin-for upper body/respiratory infections, Aspirin-helps in acclimatization, Diomax-helps in acclimatization. Please consult personal doctor for more info. Live your Dreams-If not Now, then When?